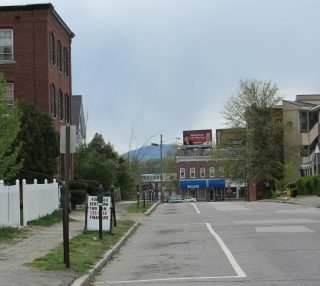 Dimensions in Dance is located on the corner of Myrtle Street and Chestnut Street, a block off of Elm Street, in Manchester, New Hampshire. 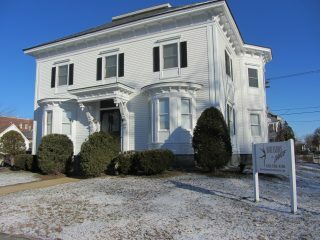 The studio is just 10 minutes from Bedford and Londonderry, and even closer from Hooksett and Goffstown. Our studio is only two minutes off of exit 6 on Route 293, and a short distance from exits 8 or 9 on Route 93. Also convenient to Candia, Auburn, and Concord, many of our students commute longer distances—some as far as northern Massachusetts—because they know the quality of our training is worth the drive. The studio has a parking lot and there is on-street parking (free and metered) on both Myrtle and Chestnut Street. We have three studios, all with windows or video-monitoring so that parents may peek into class. We have two bathrooms, an office with a staff member to answer questions and take tuition payments, a dancer room with cubbies, microwave, and TV, as well as two waiting areas for parents. We sell our school uniform on site for convenience, but dancers are welcome to purchase their dance attire from any local they choose.